Oui. But when I don't use it, I lose it. I studied French for three semesters in college. One hour every day, avec Professeur Wright. My sophomore year, I was able to use it when doing study abroad. But when I don't speak a language regularly, the skills definitely get rusty. So I am now fully-immersed in regaining some fluency for our upcoming visit to Paris. 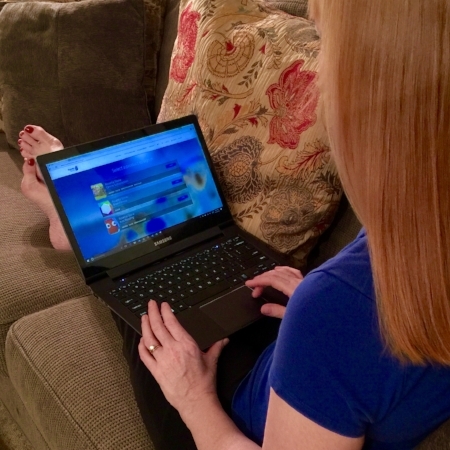 When Rosetta Stone offered me the chance try out the mobile version of their program, I jumped at the chance, since I had a great experience using their program to brush up on my Italian before a vacation several years ago. (Photos courtesy of Rosetta Stone). The online subscription works much better for me than the traditional CDs you have probably seen, since I travel constantly. This has been super-easy to use, letting me pick up where I left off, either on my laptop or iPad. What I love about the program is that it teaches a new language in the same way you learn your first language - by experiencing it in everyday situations. I am also very visual learner, and seeing photographs and the words on-screen is the only way I can learn a language. It also does a ton of review and repetition as you work your way through - something I definitely need to retain the info. I'll be sharing lots of photos (and maybe writing a little French?) during our upcoming trip; please follow the fun with us on Instagram. Have you ever used Rosetta Stone? If so, please let me know what you think!